Easy to get round shops as most shops as hate huge prams having to push past people in shop. I love my graco so easy to steer and fold down to put in boot of car or even for storing. Very easy to get round shops. Lovely padded seats for baby as my daughter doesnt like prams unless they have a padded bit for her back. Easy to change carrycot to toddler bit just slips into place. 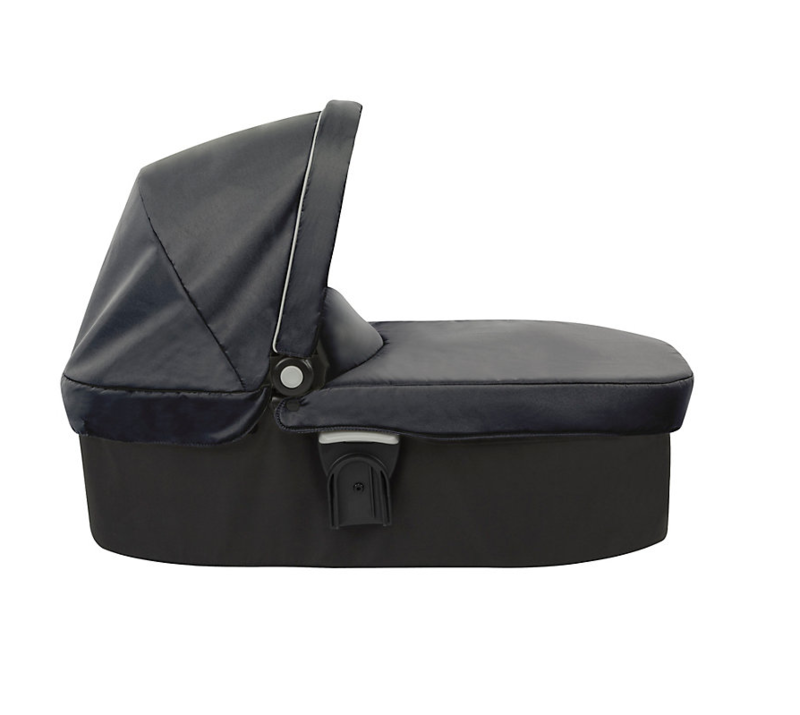 I used this carrycot with my oldest son and have to say it is so easy to use when clipping and unclipping. 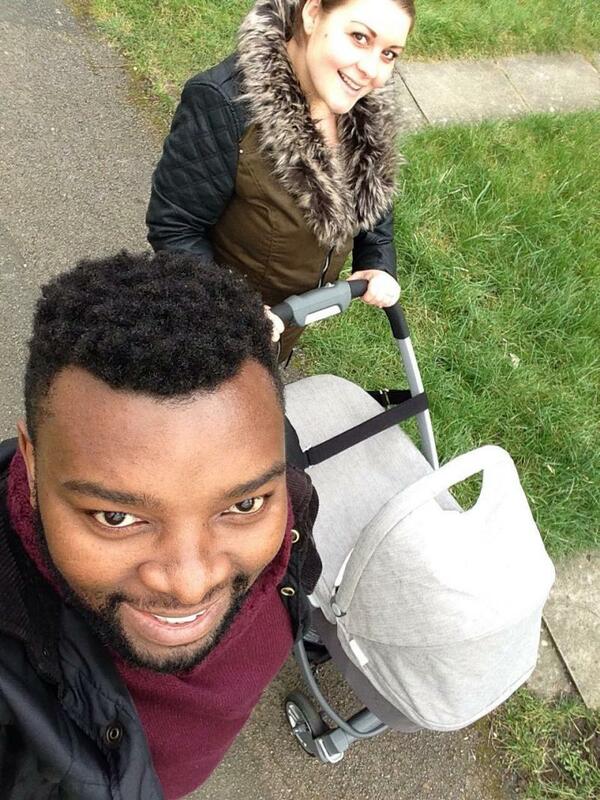 I loved my pushchair with the carry cot. As a nanny I have tested a lot of pushchairs but this one is so easy to push with one hand especially on the bumpy country paths. It is very easy to clip on the carry cot and the seat. My little one loved being in the carry cot he always fell asleep. All in all I’d say 5 star. 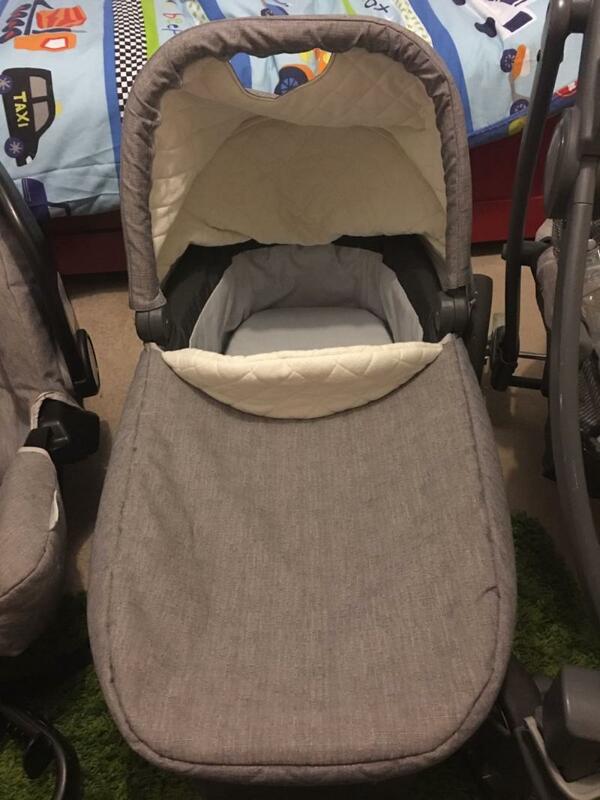 This is a really lovely carrycot, I purchased in the grey colour and it’s lovely! The mattress that comes with it is really think and comfy for baby to lay on, the carrycot is really sturdy, well built and will definitely last. I bought this seperately to go into the evo frame I already had and it fits on perfectly and looks really lovely, was so happy with our purchase. We got this as a part of our travel system, used the carry cot until little one starting sitting up. Very spacious inside. I found it easy to remove the carry cot from the top of the pram and easy to transport around the house if required. I used mine downstairs as a secondary Moses basket and it was amazing! Little one found it very comfortable. Has a handle for easy carrying. Folds away but is still quite bulky which is the only negative really. Otherwise would highly recommend!! It had a comfortable lining and mattress, not heavy. I still use this pushchair but my son is too big for the carry cot at 8 months. I loved this from birth as he hated being strapped into a carseat. I decided to use this thinking he was going to hate it but he was able to lay down and be free, without straps stopping him and he would get comfortable rest in there. Its still like brand new too so definitely made to last! We loved our Graco evo carrycot, we used it from birth until our little monkey would no longer lie flat (about 4 months) however there was plenty space for it too be used for longer..
Large spacious carrycot, easily clips on and off the frame and it lightweight so not gonna break your back.. Also has carry handle on so you can lift it with little one in..
Easy to remove from the pram, weight is reasonable and great that you can buy a stand specifically for it. Seemed comfy and size was good as I have big babies. Long but tight inside.. nothing special with design. the casing only ups to 90 degrees. All rain goes inside to baby face. I find this product is very easy to use as it clips on and off the pushchair with ease. This carry cot is the best we have ever bought. Unlike a lot of carry cots it is very spacious. We have used this product for two of our children and it hardly has any scuff marks so it is built to last. This is very sturdy but comfy for baby at the same time. We have had other carry cots before but they have been narrow and do not last long as there isn't any growing room. The only downside is it is quite bulky to store and to fit in the car. Very light easy to steer. Feels sturdy yet safe. Folds easily and attachments go on and off easily. Baby has always been comfy and grandparents even used it as a make shift travel cot at times. 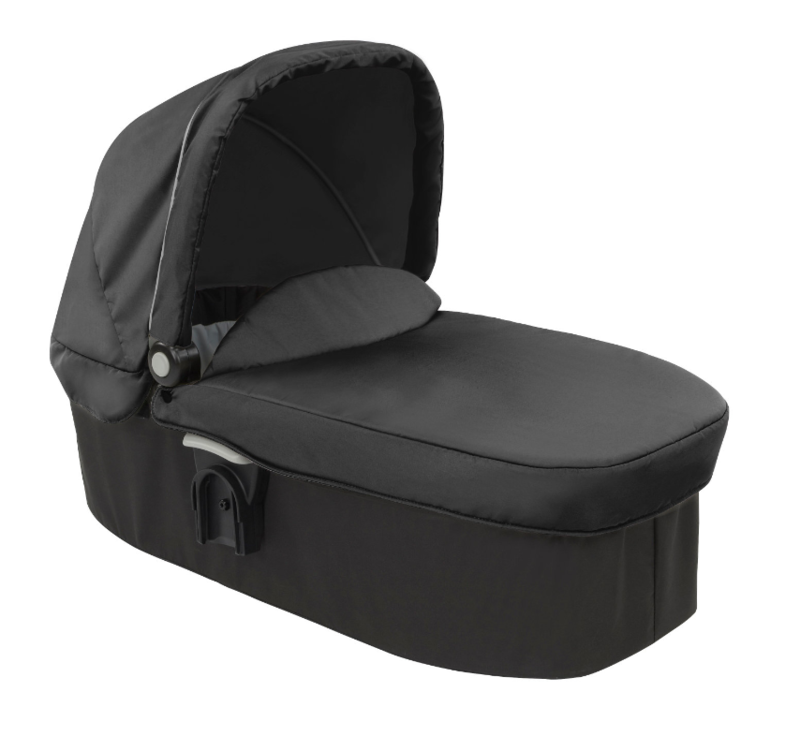 The evo Carry cot is amazing, it’s really quite spacious compared to others I have tried. It also is easy to clip on and off to the main frame. It Folds down quite flat for storage but when putting back up the clips are tight which was slightly difficult to master but once in made the carrycot super safe and I had no worries that it would collapse whilst my little boy was inside so although it was tricky to put up I actually really liked the fact it was quite difficult. The fact that it folds so flat makes it really easy to store. The hood comes of fairly easily to wash so if your like me and love the pushchair to smell like washing powder it’s a dream! Also the mattress is really decent and quite padded so when we Took our little boy camping at 6 months old not only did he still fit in it due to it being so spacious we Actually used the carry cot instead of packing a Moses basket and I wasn’t worried about him being in their for to long. I did buy it as a complete travel system and I cannot fault it it was great value for money. I bought this along with the base which is used with the seat belt. The carry cot is a reasonable size. Could do with more padding for comfort. It is so easy to fold and is light and compact for fitting in the car. It has the added benefit of not needing to remove the pushchair before folding. The car seat is very easy to use with the base. He looks very comfortable in it. The material isn't breathable though so he tends to get sweaty on hot days. Would prefer not to require the adapter to connect to connect to the chassis but can be folded with this attached. I would recommend not to chose the lime green. Although I loved the colour, the insect like it to and we are constantly swatting them away when at the parks. It looks super comfy for little ones my LG loves it for a while, once it is on the frame though you can’t get anything in the basket underneath without tilting it. 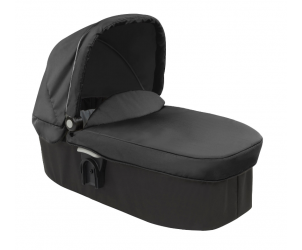 Great carrycot for newborn. Very spacious and lots of rooms. Comfortable little mattress in the bottom! Highly recommend! Love our evo! It’s 5 years old this year and being used for second baby! This was a lifesaver my 34 weeker would not sleep but when I bought this he would. It’s very easy to push very comfortably in fact. I bought this as part of a bundle and I have to say I found it great. I was on a tight budget so this for me was a pram, a moses basket and a side cot for the first 3 months of my baby's life so I got more than my fair share of use out of it. The only down side was I felt it wasn't padded enough considering the amount of time she was spending in it but I got round this by adding a thick ultra soft blanket which also gave it extra warmth and it worked out fine. I would recommend this product. Found it a little too bulky and I didn't think it was very cosy or snuggly. Quite long too. Easy to attach to frame. Very spacious for my baby, just lacked the warmth feel you want for your new born. Major for me was trying to fit in the car as it's so large! Didn’t use the product for long but was very happy for the time I did, was very comfortable for baby and very light weight to move around. Brilliant Pram if your just walking on sturdy paths not so great off-roading. 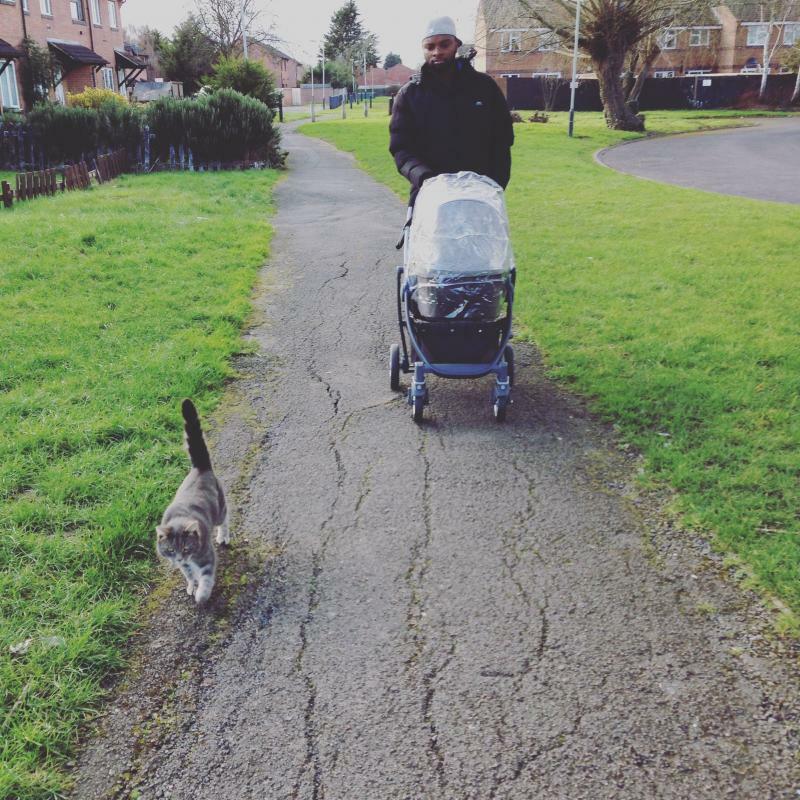 Carrycot is quite narrow not allowing a proper 6 month old to have the freedom they need. Pram is a little shaky after just 3 months of use. Brake doesn't always engage. The Graco Evo Carrycot is a lay flat pram option for your Evo Stroller. It is suitable from Birth - 6 months and attaches to the Evo Chassis quickly and easily.